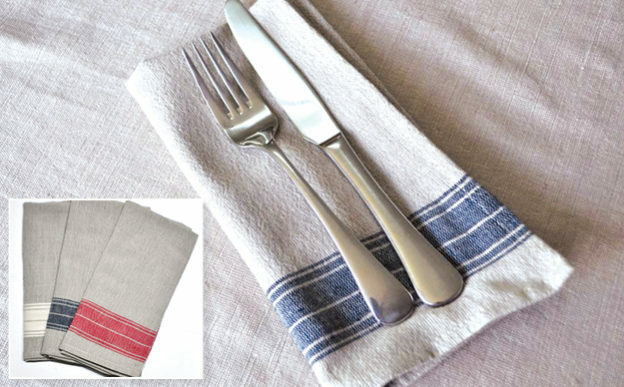 Our Sanetti Napkins are solid stone with bands of color. Made of durable, hand spun, Ethiopian cotton that gets softer with every wash. Machine wash cool. Tumble dry low. No bleach.